As a home or business owner, it’s likely that at some point, you’ll need to buy a new air conditioner. It’s no secret that air conditioners are expensive pieces of equipment, and when you’re investing your hard earned money into a comfort system, you want to be sure you’ve got the right fit. The air conditioner you choose will affect your costs and comfort now and throughout the next ten years or so. 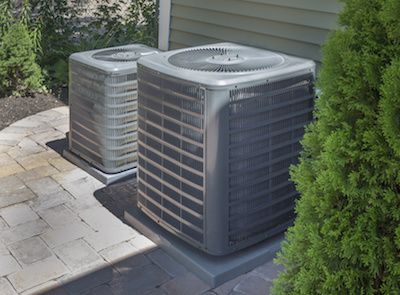 Selecting the right size of air conditioner unit is an important component of this major purchase. You’ll need to determine the size needed to condition your home or business to know if you need to size up, down, or stay the same. How large or small is the building? The total square footage of the space to be conditioned is one of the many factors used to determine a building’s cooling load – avoid working with contractors who base their air conditioner size suggestions off square footage alone. Which direction does the building face? The orientation of the building will affect the cooling load of the building, as it affects heat gain from sun exposure. What climate zone is the building in? Climate factors such as average temperature and number of rainy days affects the building’s total annual energy consumption. What building materials were used in construction? Building materials and features incorporated affect cooling load. Poor insulation R-values prevent the home from retaining cooling energy and facilitate heat gain. A large number of windows and their orientation impact total heat gain. Who and what will be inside the building? People and equipment give off heat themselves, upping a building’s cooling load. The contractor will need to know how many family members or employees will use the building, as well as the appliances used indoors, such as computers or ovens. At Climate Control, we want to make sure your money is well spent when investing in a new cooling system for your Lexington home or business. Let our NATE-certified air conditioning pros perform a Manual J load calculation as well as other necessary measurements to ensure your space will be outfitted with an air conditioner with the capacity to cool efficiently. Call us today to schedule an estimate.